Security guards walk past the Chinese national flag at the Military Museum of Chinese People’s Revolution in Beijing. This is not something the United States will be able to ignore much longer. A newly revived Cold War committee met for the first time on April 9—the Committee on the Present Danger: China (cpdc). The committee stated that stopping China’s rise would be “the defining event of our time.” The group was first established in the early 1950s to fight communism in the United States and was revived in 1976 to fight the Soviet Union. It has been revived once again to fight the dangers of China’s rise. In future discussions, the committee aims to expand the debate on and warn against developments such as China’s military buildup; its information, political, economic and cyberwarfare; and U.S. vulnerability in space. The National Interest went on to support its claim that the U.S. is not doing enough to confront China’s increasing aggression. China currently has 275 vessels surrounding Philippine-controlled Thitu Island. It is trying to dismember Japan and absorb Taiwan, threatening the peace in the region. Further afield, China has blinded American military pilots in Djibouti and injured U.S. diplomats in Guangzhou. It has protected North Koreans responsible for cyberattacks on the U.S., while carrying out its own attacks. Add to this the fiery rhetoric of killing Americans by the thousands. China has imprisoned legal U.S. residents and other religious groups in camps inside its Xinjiang province. It has armed several U.S. enemies with nuclear weapons. As the world’s second-largest economy and one of the fastest developing countries technologically, the China threat is not disappearing. Does this sound like the U.S. should sit back and watch passively? Is the U.S. overreacting? The facts on the ground give a clear answer. Add to this what Bible prophecy details, and the China threat is far more real than Shirk, the fbi, the cpdc and the National Interest understand. 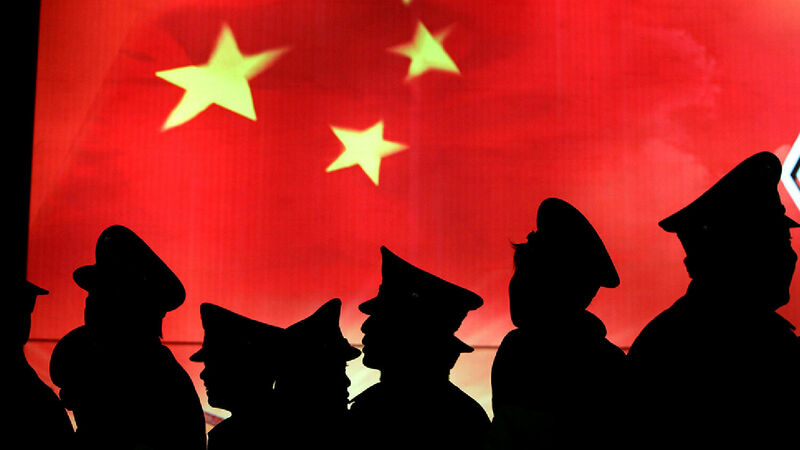 In his February 2018 article “China Is Steering the World Toward War,” Trumpet editor in chief Gerald Flurry warned that China is a very real threat. He noted that since Xi Jinping took office, China has been working to push the U.S. out of East Asia. Xi’s efforts to dominate the globe have extended beyond militarization of the South China Sea to sea gates around the world, exerting China’s influence further and further through its Belt and Road Initiative. Mr. Flurry showed the significance of these events based on Bible prophecy. He used the same scripture that Herbert W. Armstrong—editor in chief of the Trumpet’s predecessor magazine, the Plain Truth—used to accurately warn of China’s rise more than eight decades ago. As God gave Mr. Armstrong more understanding of the Scriptures, he came to see for a certainty that China would join an alliance with Russia to disrupt the peace of the world. This understanding includes the identity of the nations described in Ezekiel 38. Verse 2 identifies Magog, Meshech and Tubal as part of this end-time alliance. Magog is the ancestor of the Chinese and Mongolians. Meshech and Tubal fathered the people comprising greater Russia today. (To prove the identity of China and other nations in this alliance, please read our free booklet Russia and China in Prophecy.) Scripture records definitively that China will be a key player in this military superpower to rise in the last days! While some analysts are now grasping the reality of China’s rise, Mr. Armstrong was declaring this fact decades ago when China was still weak. He was able to do so because his forecasts were based on the “more sure word of prophecy,” straight from the Bible. Mr. Flurry continues to use these same Scriptures to explain current trends. Revelation 16:12 calls this alliance led by Russia and China “the kings of the east.” It is prophesied to be a massive military power, fielding a 200 million-man army (Revelation 9:16). When this force unites, it will strike fear into the entire world! These violent prophecies tell us what lies ahead! They will affect every individual on the planet. But there is great hope! All this prophesied destruction is what it will take for God to reach this world! After this, people will be ashamed—and they will get to know God! Ezekiel repeatedly talked about that inspiring conclusion (e.g., Ezekiel 6:7; 7:4; 11:10; 12:20; 13:9; 23:48-49, etc). Yes, there is a lot of bad news when you consider what it takes to get people to the point of knowing God. But ultimately, the outcome is spectacularly good news! Though China has a violent future immediately ahead of it, this is not where it ends. All this suffering the world will soon face will end with spectacularly good news: the return of Jesus Christ, who will bring the whole world to repentance. Man will finally learn God’s way of life that brings total happiness!